Joss Whedon’s Avengers is what every comic book geek and action film fanatic has dreamed of since they were a little kid. Not only was it one of the most epic films ever shot on film, but Whedon used his wit and unique story telling to weave these iconic characters into a team that destroys evil. You see, it’s not all about the people who form a team and save our planet. It’s about a group of people from different times and different worlds, who necessarily don’t belong together, but realize that by teaming up, they form something bigger than themselves. And notice that I don’t use the term superhero. 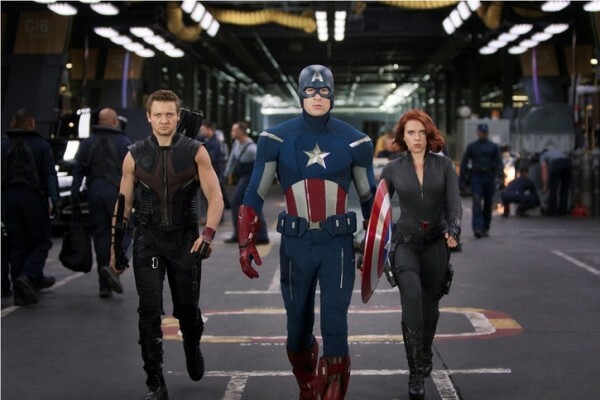 None of the Avengers refer to themselves or think of themselves as heroes, with the exception of Captain America, who really is the only hero in the story. I’m going to be as light on spoilers as I can be, so bear with me. Our main villain in the Avengers is Loki (Tom Hiddleston) , Thor’s brother. Loki comes to Earth and steals the cosmic cube we saw at the end of Thor and in the Captain America film last year. This is a powerful energy source that is capable of unthinkable things and once Loki has it, he wants to rule over Earth with an iron fist. As Loki steals the cosmic cube, he puts a spell on one of the soon to be Avengers and a scientist that make them work for Loki. 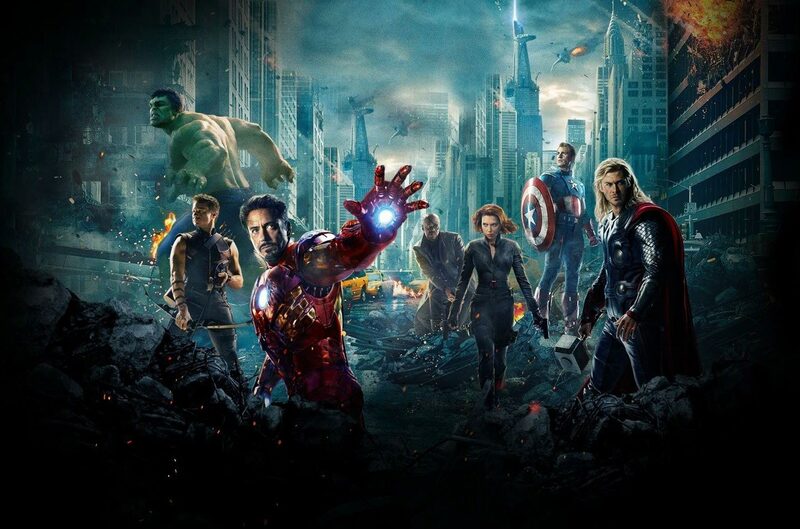 With the cosmic cube in the Loki’s hands, Nick Fury (Samuel L. Jackson) calls up Tony Stark/Iron Man (Robert Downey Jr.), Bruce Banner/Hulk (Mark Ruffalo), Natasha Romanoff/Black Widow (Scarlett Johansson), Steve Rogers/Captain America (Chris Evans), and Thor (Chris Hemsworth) to band together and save the planet. This proves to be a very difficult task, as each person is in a different location and doing other jobs. One by one, each of them are recruited to the S.H.I.E.L.D. headquarters, which I must say, is one of the coolest headquarters I’ve ever seen. It blew my mind. It’s not friendly at all between our heroes. In fact they all hate each other. You see, what’s amazing about Whedon’s Avengers, is that these courageous warriors are really not meant to be or work together, but when Loki summons an alien army to destroy Earth, they all unite for the good of the world. I also enjoyed that before they heavy stuff sets into motion, we get to see where all of our heroes are in their lives. We see Iron Man working on a renewable energy source that is completely green and safe for the planet. He’s also seems to mature a bit as the film progresses, which I liked while he still made his famous snide jokes. Hulk has been hiding out in another country and helping people who are sick. He hasn’t turned into the green rage monster in over a year. Captain America is still coming to terms with his time era change and trying to make the best of it, although its still troubling him. He really hasn’t even gone out to see the new world he’s in. Black Widow seems to be working for some government agency and is in the middle of a mission when she gets her call. And then there’s Thor, who just sort of comes in the picture without any backstory with the exception he travels from Asgard. But, I think the best written character of the film is Loki. Hiddleston plays him to perfection. You just have no idea where he’s coming from as he plays each Avenger to their weakness and against each other. He even has that lovable smile that turns evil in a split second and will kill you with out batting an eye. Loki is one of the best villains in any comic book film, and it shows here. There’s a lot of depth to him, with him not truly being from Asgard and him being adopted. It all comes out in his vengeance and hatred. So for the first part of the film, we see the Avengers fighting each other as if they all had to see who was the toughest person on the block. All along Captain America is trying to stop everyone from fighting. This is rally cool, because we start to see Captain America become the leader of the Avengers here. The fight between Thor and and Iron Man is hilarious and brutal. They clearly can take each other on. Now the coolest Avenger in the film is the Hulk. He is an unbelievable force of strength. Every time he was on screen as The Hulk, I cheered. There’s just no stopping him. And it was very cool to see Hulk learn to control his rage and use it to fight the enemy, rather than anything that surrounds him. There are some amazingly hilarious moments with Hulk as well that you won’t soon forget. Remember I mentioned the Loki summoned that alien army to destroy Earth? Well that is my one complaint about the Avengers. These aliens could have been so much better. Instead they come across like cheap CG FX from the early 90’s. There was nothing to them, and they had no real point to their character at all. They didn’t pose a threat to anyone and therefore there was no dramatic tension. However, this is where Hulk can spread his wings and just literally destroy these aliens. It was quite the spectacle. The final 40 minute fight scene is epic on a level that you can’t begin to imagine. I’ve never seen anything like it before. Avengers is definitely the most fun at a super-hero film you will have thus far. It’s an incredible film too. It’s got the wit, the character development, the intelligence, the dramatic tenstion, enough action sequences to last two films, and the best special effects I have ever seen. Oh, and stay after the credits to get a glimpse of who and what’s in store for the sequel. You’ll scream with nerd joy. This entry was posted on Friday, May 4th, 2012 at 4:03 am	and is filed under Comics, Film, News. You can follow any responses to this entry through the RSS 2.0 feed. You can skip to the end and leave a response. Pinging is currently not allowed. « Check out the Brand New Trailer for ‘The Amazing Spider-Man!! !